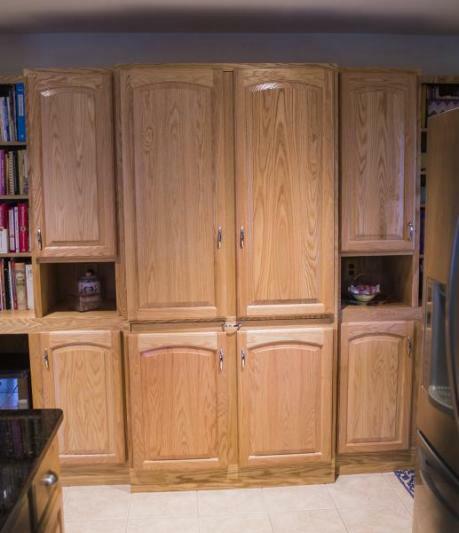 These pantry cabinets were added to a client’s recently constructed kitchen. 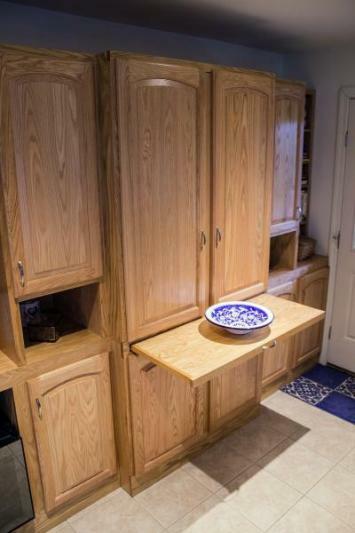 The client wanted the pantry to match the oak cabinets in their kitchen, while also providing efficient storage for books, food and appliances. 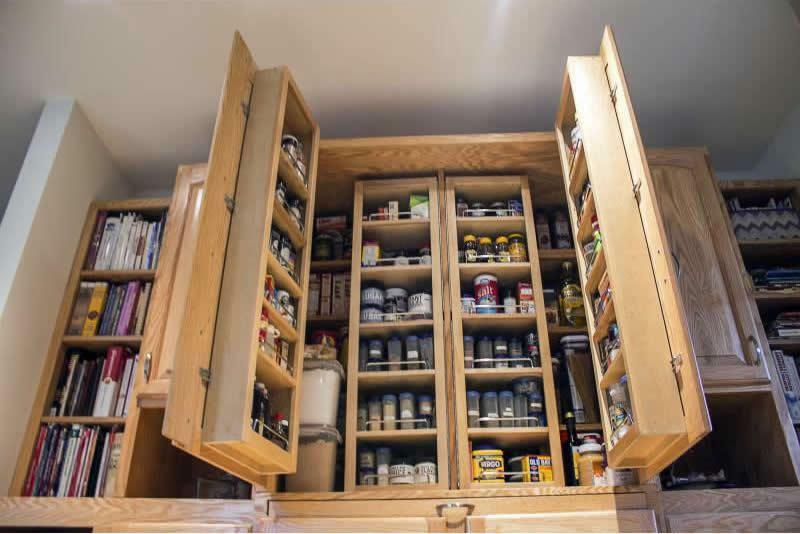 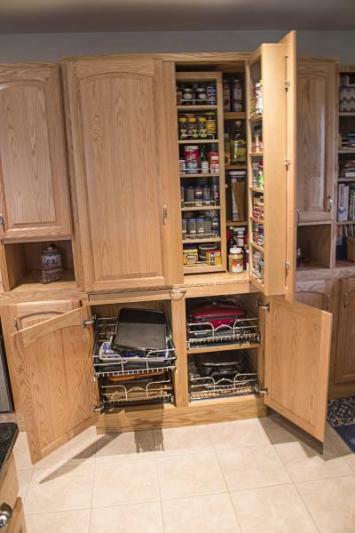 Some of the great features that make this pantry functional are open and adjustable bookshelves, compact shelving for small items, and retractable baskets for loose items. 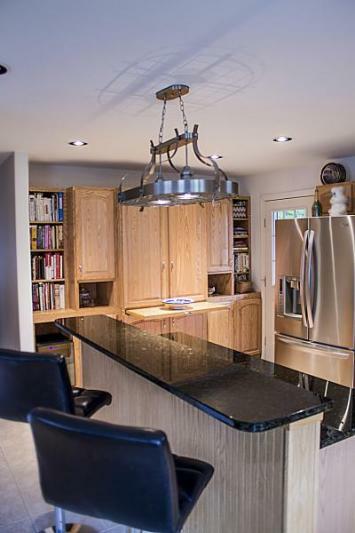 These cabinets also include a retractable counter, for additional workspace; and outlets and ventilation for appliances and a wine cooler.